Original 1969 Smoked Glass Dish from the Apollo 11 mission!white and gold graphics. 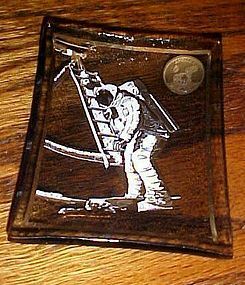 This dish depicts Neil Armstrong descending the ladder from the lunar module onto the Moon's surface. Quotation given is "That's One Small Step for Man. One Giant Leap for Mankind." Also shows date July 20-21 1969 and the Apollo 11 mission medallion. 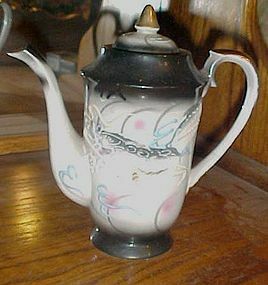 Measures 3 1/4 by 2 1/2 inches. Beautiful condition with no defects noted. 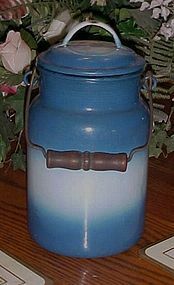 RENCH VINTAGE 1950's , Beautiful Enamel Milk Pail, Milk Pot with Handle , Blue Gradation Color, Enamelware. 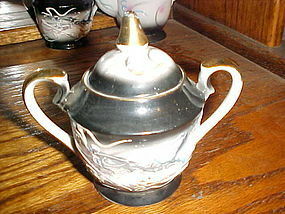 Wonderful vintage condition, One chip on the lid's handle Inside is very clean Measurements are Tall with lid 9 3/4 inches. 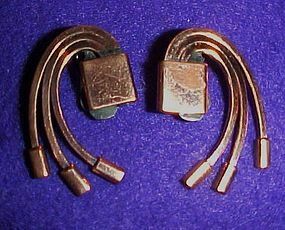 Diameter ( bottom ) 5 inches. Original bail and wood handle,and handle is excellent also. 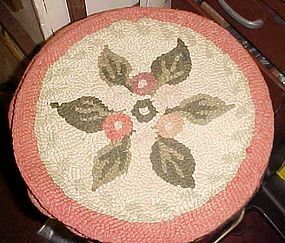 Vintage Wool Latch Hook Rug Chair Cushion. 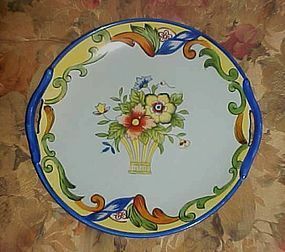 It measures approx 14 1/2 x 15 inches. 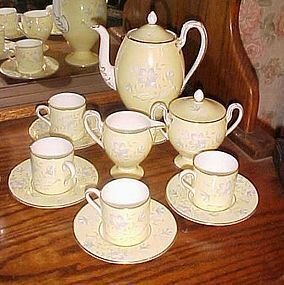 The background colors are beige & cream, with peach border. 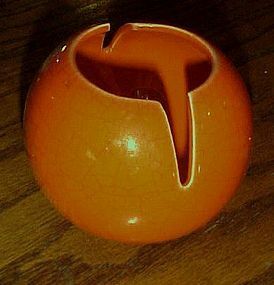 I have 5 of these in case you need more than one. Price is per pad. 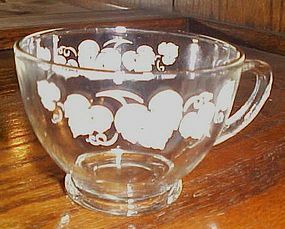 Vintage single punch cup by Anchor Hocking, made in the 1950s. 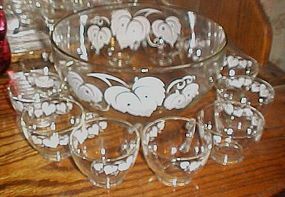 The design is an ivy leaf with ivy vine in white on a clear bowl rimmed in gold. 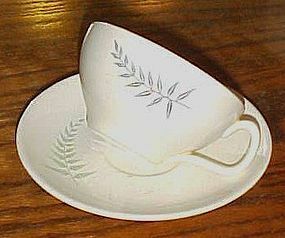 Slight wear may be apparant on the edges of some of the cups if any. 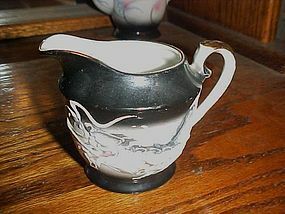 The cups measure 4" wide with handle, 3" wide without handles, 2 1/4" tall. 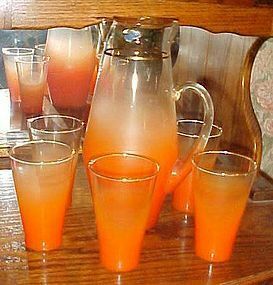 I have 7 available, price is per cup. 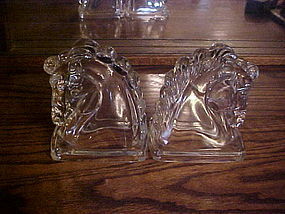 Lovely vintage clear glass bookends made by Federal Glass Co.This gorgeous pair of horsehead bookends made around 1950. Known as the Trojan Horse Bookends, and are about 5-1/2 inches tall. Made of glass with hollow insides. Great details. Both bookends are in excellent condition. Fantastic for any horse lover. 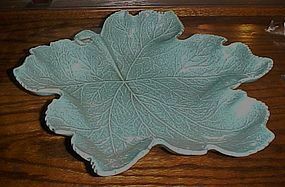 Lovely large turquoise leaf bow measures approx 13 1/2" by 12 1/2". 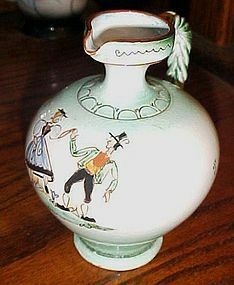 Turquoise has light tan spatter or speckles. Measures just over 2 1/2" deep. Looks like one small chip on the backside which has been touched up. 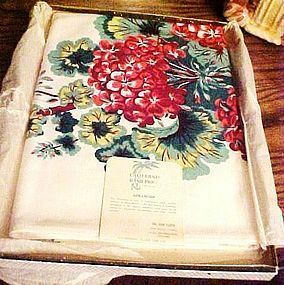 Marked on the bottom.Vintage 50's.